This event documents a change to user right assignments on this computer including the right and user or group that received the new right. 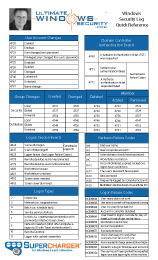 Note: This event, 4704, and 4705 do not log changes to logon rights such as "Access this computer from the network" or "Logon as a service". See events 4717 and 4718. The ID and logon session of the user that assigned the right. Unfortunately this is just the local system account - see above. A user right was assigned.